It is the legal and ethical responsibility of truck drivers and their companies to protect other road users and drivers. If they fail to do this, you as a road user if you are involved in an accident caused by their carelessness or negligence, you are at liberty to take legal action. You, however, need to hire truck accident attorney in Corona that is reliable and would be able to fight aggressively for your cause. This is where you need the legal service of the Rawa Law Group.At Rawa Law Group, we have continually shown our prowess in handling personal injury cases in over a decade. In fact, we are touted as one of the leading five-star law firms with the best personal injury lawyers in the state of California. If you choose to work with us at Rawa Law Group, we can guarantee you effective representation as we fight aggressively in the courtroom to see you are awarded compensation for your pain and suffering caused by the truck accident. Our attorneys understand all the pain truck accident victims are experiencing which is why we have a deep advocacy for their cause. We strive to win their cases and have them try to get over that sad phase of their life. 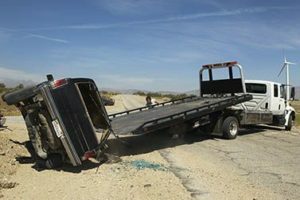 With our free case evaluation, you can get solid legal advice and if you choose to work with us, you get personalized representation from one of the best truck accident attorney in Corona. Get in touch with Rawa Law Group today.